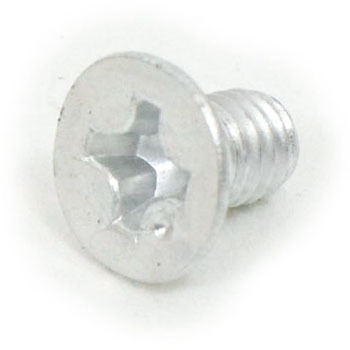 The thing was an ordinary aluminum screw. It is helpful because there is no sale at some stores. This review is about item#41698885. I think the biting of the +3 driver bit is perfect, the accuracy of the screw is also good, and the matte aluminum finish is also good. I contribute to weight reduction, I would like to replace parts that do not take any strength of the car. This review is about item#41699025. It is useful because the specific gravity is smaller than iron screw, but I would like to try to compare (strength) with resin. This review is about item#41698772. It is used to replace the screw of the brake panel of the rusted motorcycle, the mounting screw of the meter. Although it is about a little in January, there is no slackness, and intensity seems to be problematic. I used it for the part where rusty iron screw was already, so I used it after clear painting with electrolytic corrosion, white rust prevention. I think that the other side is also good electrical because it is an aluminum casting. This review is about item#41698937.